Vitasohn is an Italian brand of vitamins for the junior children. It is small pastilles in the diverse aromas which we dissolve in some water. Figurines were placed on the transparent lid of the product. 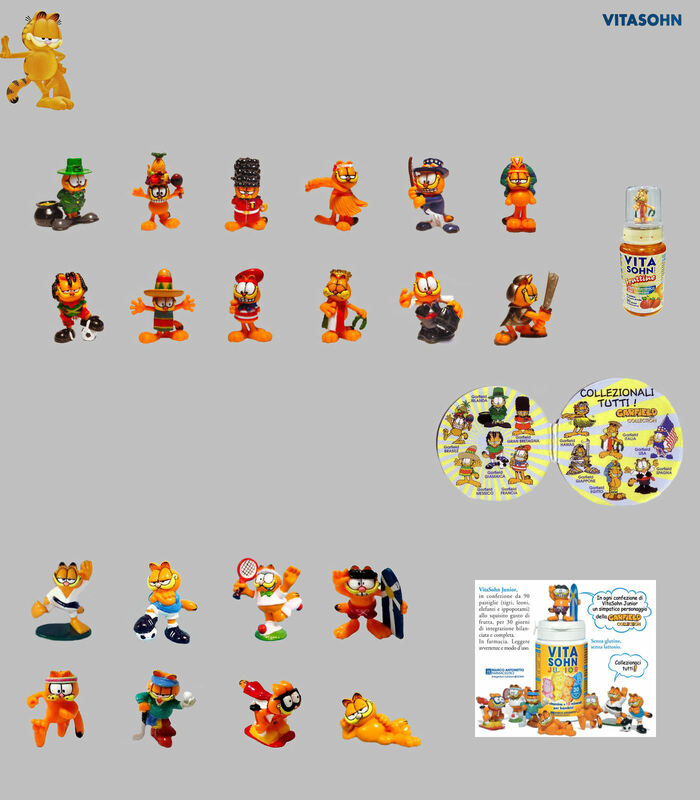 The first series of 12 characters dates 2009. She is based on the characteristics of diverse country. We note however a small curiosity as for the presence of Jamaica represented by his soccer team presents, it is true, during the world cup of 1998. The second series is dedicated to the sport. Presented as the previous one, it consists of 8 figurines and dates 2010. Everything is even represented the rest which stays, it is necessary to admit it, the favorite sport of the planet.